Dermatology Consultants of Atlanta has the newest body-sculpting technology, EMSCULPT. It is the first treatment that not only removes fat – but actually builds muscle. EMSCULPT is the world’s only non-invasive procedure to efficiently build your muscles. Yes, you read that correctly. Restore your core and get your flat sculpted abs back. EMSCULPT is available at our Buckhead and Marietta Offices. Call now for your FREE consultation. Receive a $250 value on any CoolSculpting procedure by scheduling a FREE consultation here. Anyone can benefit form the EmSculpt procedure. Ask your physician for more details. YES! EmSculpt has been clinically tested for safety and efficiency through seven independent US-based clinical studies. 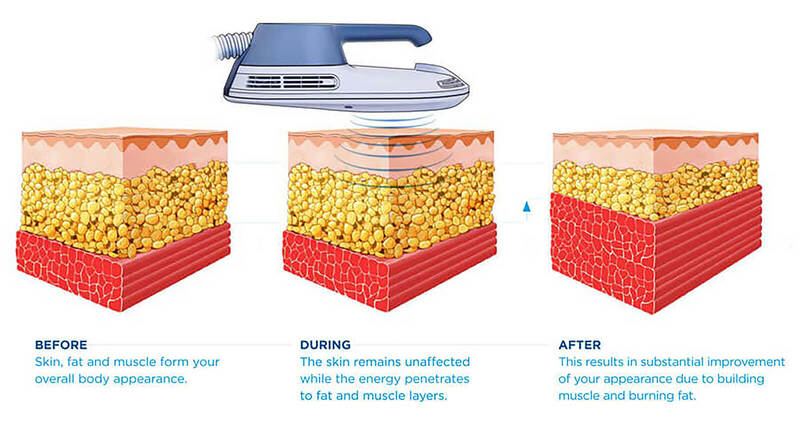 EmSculpt is non-invasive and requires no recovery time or any pre/post preparation. 30-minute treatment with a minimum of 4 sessions schedules 2-3 days apart. Your physician will help you create a treatment plan tailored to your specific goals.